On Friday we released information about our latest ‘How to Build a Brand’ event - retreat style! In this journal entry, we wanted to share the reasons why we created this new style of event, and how we think it will be of help to any new creative business owner. During our three years in business, we have seen and worked with a multitude of new and exciting creative companies. A year or so ago we started to notice that, although many new businesses had fantastic offerings and long-term goals, there was less focus on more pressing questions such as ‘who are the products for?’, ‘what are the brand’s values?’ and practically speaking, ‘what does the brand look like?’. These simple but crucial questions can help refine a brand and make it stand out from the crowd. We believe having a refined brand is what not only sells products, but keeps your business evolving whilst still staying true to the brand. Using these questions as a starting point, we launched our first ‘How to Build a Brand’ event in 2018 and ran a further four events that year. For these events, we invited a group of budding business owners to listen and connect with successful business owners and creative entrepreneurs. The guest speakers gave talks, ran workshops and answered guest’s questions in a welcoming and friendly environment. After the success of these initial events, we decided we wanted to dig deeper and give new business owners not only the knowledge but the time and space to action the ideas that were emerging from the events. This was where the idea of a creative business retreat came from. Over the course of a weekend, we wanted guests to be able to fully immerse themselves in a creative and supportive space, with other like-minded people. Our new ‘How to Build a Brand’ weekend retreat combines the workshops and knowledge from the previous events but with that extra dedicated time to start working practically on ideas. We’ve also included one-to-ones with our speakers, so that guests can get more personal, detailed feedback on their business plans and aspirations. So, who are the guest speakers? We have chosen three creative entrepreneurs to speak and advise at our weekend retreat, and all are truly inspiring women! With years of experience behind them and portfolios brimming with successful work, our expert speakers will help to inspire and guide our guests. Abi Dare is a blogger, freelance writer, stylist and Instagram influencer based in Bristol. She founded her successful interior design and travel blog, These Four Walls, in 2014, and also contributes to a range of independent lifestyle and travel publications. She’s known for her muted, minimalist aesthetic, and helps other creatives to develop an Instagram identity which reflects their own brand. We worked with Abi for two previous ‘How to Build a Brand’ events and the feedback we got was so positive. Her knowledge of Instagram is second to none and we can’t wait to have her share her knowledge again at the retreat. Lizzie Evans is a creative entrepreneur who has worked in the design world for over 10 years. She manages her portfolio career, which includes her role as founder and owner of design-led lifestyle store SMUG in Islington’s Camden Passage, as well as her coaching practice. Lizzie now designs her own stationery and homeware products under the self-started brand Lizzie for SMUG and runs her podcast ‘How to Curate Your Life – Work Life Balance for the Creative Entrepreneur’. Lizzie’s experienced background not only managing her shop, but also her coaching career, makes her the perfect person to speak at our retreat. Cat Byrne is the branding and website designer behind Gatto. She specialises in working closely with female creatives to create beautiful, intentional and personal brand designs for their businesses. Gatto has been her full-time career for the past four years in which time she has worked with over 100 creatives to build their dream brands. Cat’s previous experience working with creative entrepreneurs on their branding means she has so much knowledge and experience to share. And not forgetting Weekend:IN’s founder, Olivia Tripp. Olivia is the founder here at Weekend:IN. With her creative flair and love of independent brands, combined with her expertise in marketing and building a brand, it's no wonder Weekend:IN has gone from strength to strength since its creation in 2016. She has worked with a number of start ups and established brands to help them grow and can’t wait to continue to work with inspiring brands at the retreat. Our ‘How to build a brand’ creative business retreat is being hosted in the beautiful countryside location of Forest Row on September 13th-15th. You can find out more and buy tickets here. Weekend:IN creates innovative ideas to help IN:dependent and IN:spiring brands connect, engage and grow their audiences. We help brands with social media marketing, authentic influencer marketing campaigns, and event organisation. 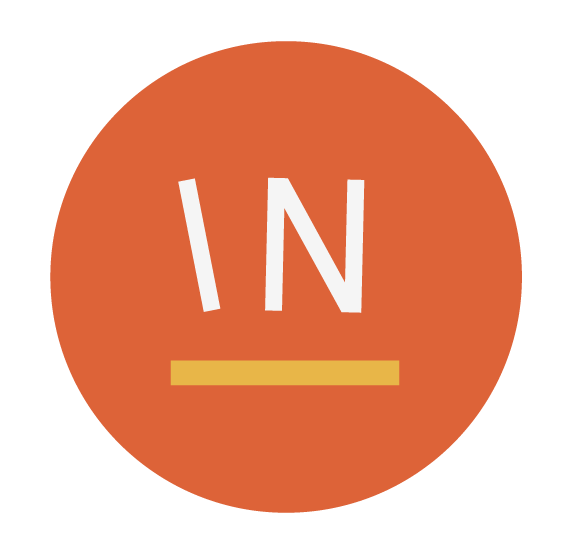 Weekend:IN are based in Bristol, but currently work with independent and inspiring businesses across the South West and in London. If you're an independent brand looking to grow your audience, sign up to our newsletter. We’ll send you hints, tips and updates.